We have new neighbors in our backyard. An American Robin has built a nest in our corkscrew willow tree. After about 4 days building the nest, the female laid 3 eggs, one each day. 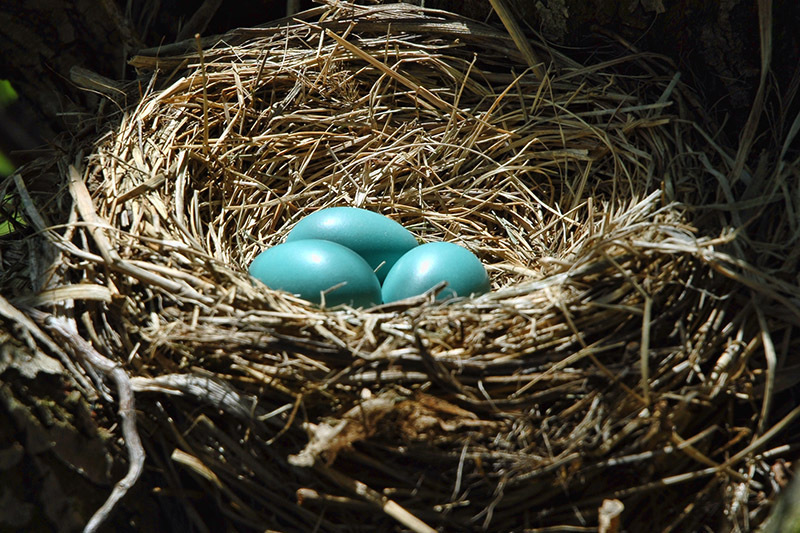 Robins incubate their eggs for 12 to 14 days. 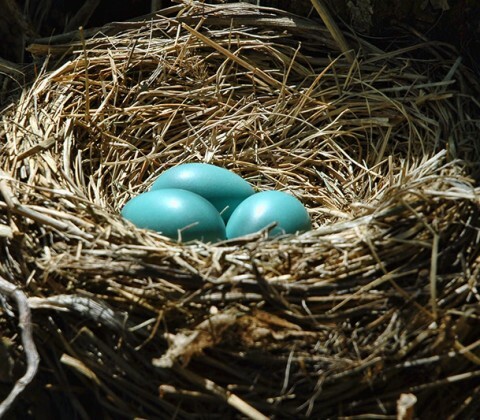 Once hatched, the nestlings remain in the nest for another 14 to 16 days before fledging. Sometime around May 7 we should be welcoming them into the world.